Set consists of brightly colored, 20-ounce water tumblers in coastal colors. These colorful drinking cups add whimsy to place settings. Great for everyday or outdoor use. 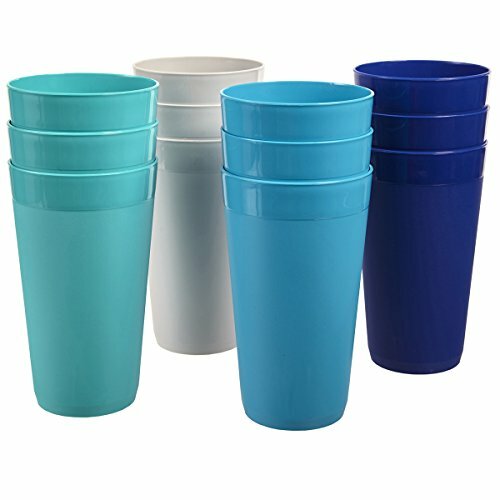 Perfect unbreakable drinking cups for children! Stackable for maximizing storage and shelf space. BPA-free, top rack dishwasher safe. Made in USA.